Ahoy There! Cook your fresh Mussels in this lovely pot, take them to the table, and put the shells in the lid. 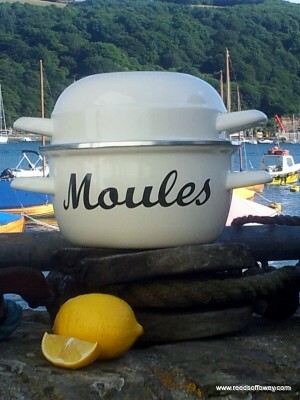 Finished in a lovely vintage cream colour, this pot is suitable for any cooker or hob including Induction Hobs. A traditional French Enameled design thats stylish and practical.